I had a much-needed lie in till 8, so I didn’t go to school. 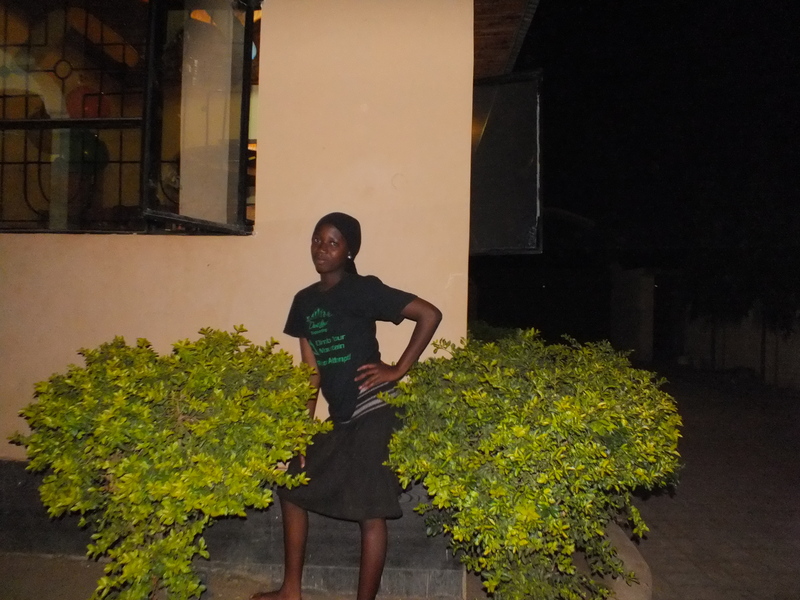 Jacqui was leaving the next day, 14th August, and it was also Muwdini’s birthday on the 14th – which is the child that Jacqui sponsors. She had planned a fantastic day. She was cooking; popcorn to start, a chicken dish with rice for main and cake with a fruit salad for desert. Kristen, Pam (Collin’s wife) and I help to prepare the food to make later on easier. After lunch I went to the Internet cafe to catch up on emails, messages + Skype Jen. I returned after a few hours to chill with the kids for a while before helping to decorate and prepare the front room for the party. I then brought my camera and took pictures so Jacqui could have something to remember the evening. The kids LOVE having their picture taken, mostly crouching or standing next to a green bush… (see bellow) They love to take pictures even more to I returned home to change and get my Fuji Touch camera, as if they dropped that it didn’t matter. We were running a little behind time as the kids were being slow. 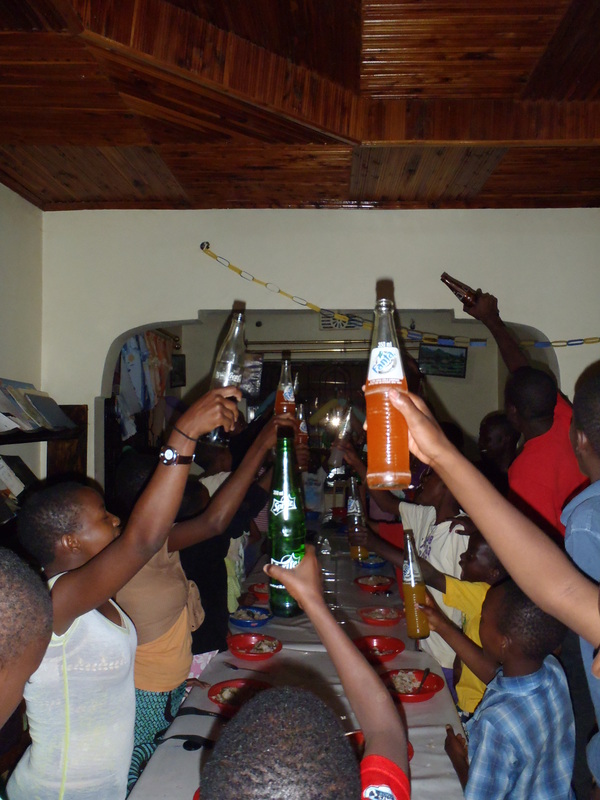 Two of the older boys went and got some soda’s from a shop, whilst Pam lined the rest up and inspected kids clothes. If they weren’t dressed smartly enough they were sent inside with marching orders to quickly correct their attire. 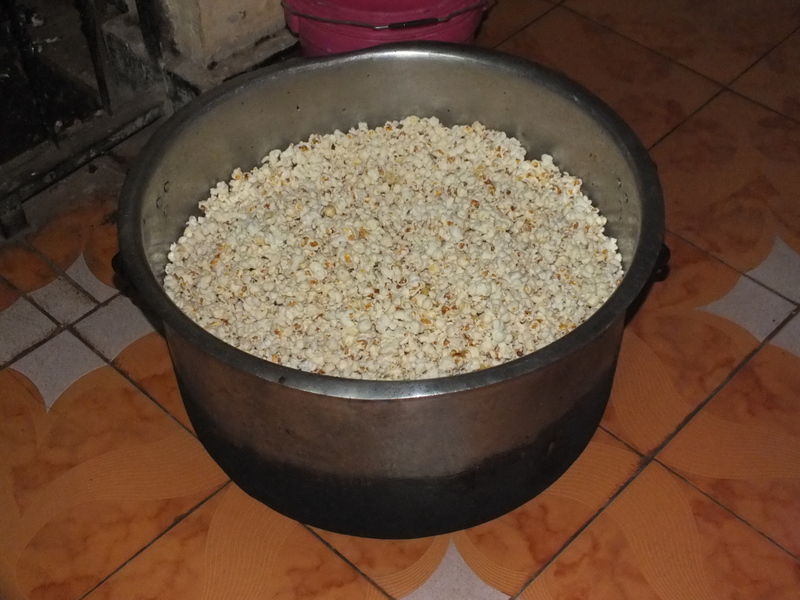 The popcorn was made in massive pot and we started a chain to portion up and serve the kids. The same was needed for the main. It was a fantastic night for many reasons. It was great to not see the older girls doing all the cooking and seeing them all sitting down eating at once. There was a great party atmosphere and everybody was smiling. After the main, Pam told the kids there was no cake. We all headed outside with the stereo and the kids started to dance. So many of them are natural dancers. After 15 mins of dancing we hurried them back inside for cake. Jacqui had spent lots of time making and decorating two beautiful cakes, one cut into the numbers 11 (as Muwdini was 11) and another cake which was a circle and decorated with bright yellow icing. Jacqui also gave Muwdini his birthday present, which was a pair of black converse. After cake we moved outside for more dancing. I stayed inside for a while with some of the older girls and helped with home work. It was a late night but totally worth it, we all had a brilliant time. I couldn’t stop smiling. 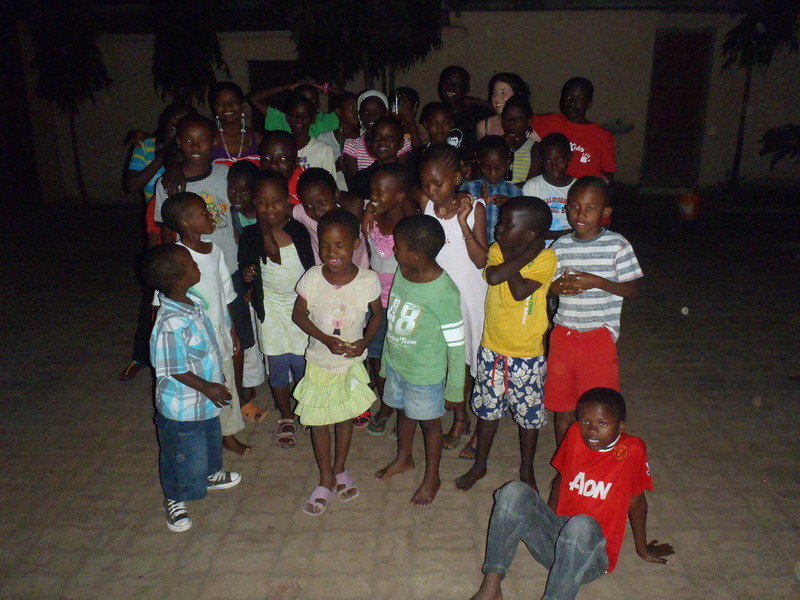 The kids were in a great mood and it made all the effort Jacqui and Pam had put in worth while. It was slightly sad as Jacqui was leaving, but nothing could dampen the sheer excitement and happiness the kids were generating.